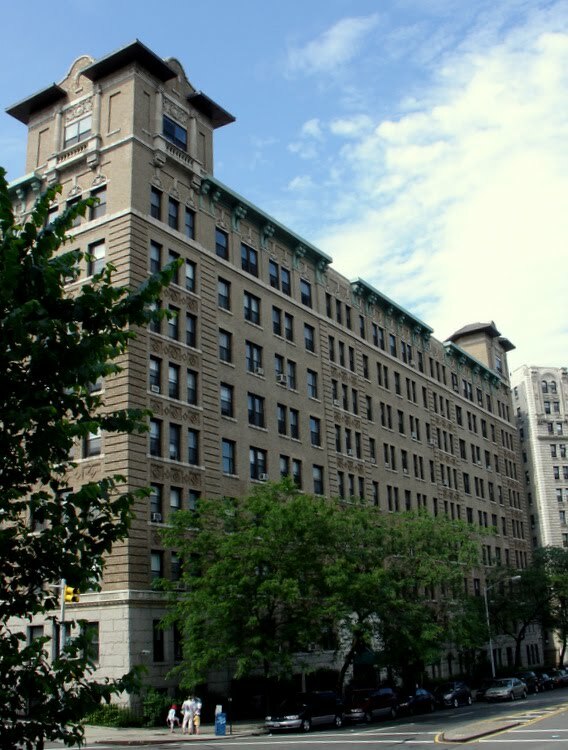 In 2010 and 2011, residents of the Grinnell, a land-marked cooperative apartment house at 800 Riverside Drive in Manhattan’s Audubon Park Historic District, celebrated their building’s centennial with a year of activities including the launch of a centennial website, logo and photography competitions, and a birthday celebration for the neighborhood. Grinnell residents have now produced a book commemorating that centennial year, The Grinnell at 100: Celebrating Community, History, and an Architectural Gem, available at Lulu.com. Through a historical essay, numerous personal histories, biographical sketches, and 150 photographs and illustrations, the 94-page, full-color book traces a half-acre triangular block in northern New York City from primordial forest to a 21st-century co-operative apartment house. Edited by Matthew Spady and designed by Jacqueline Thaw, featuring photographs by Charles Baum and Mo Ström, and contributions from more than 30 Grinnell residents, The Grinnell at 100 is a must-have edition for anyone with an interest in the history of New York City, Washington Heights, or the Audubon Park Historic District – and of course the book will interest Grinnell residents, friends, and admirers, past and present. Like neighboring apartment buildings, the Grinnell lured the prosperous middle-class uptown with amenities such as uniformed staff, spacious apartments “adapted to those accustomed to private houses,” enameled woodwork and paneled dining rooms, and proximity to the subway (“only 200 feet”) – all at prices “30% less than the Middle West Side.” Built around an airy courtyard, The Grinnell remained a fashionable building through the Great Depression, usually fully occupied. In the late 1940s, the Evangelist Daddy Grace bought the Grinnell, considering it and the Eldorado on Central Park West the prime properties in his real estate portfolio. Both were part of his estate when he died in 1960. During the 1970s, the Grinnell suffered landlord neglect as did many apartment buildings in Manhattan. Grinnell tenants organized and demanded better services, eventually resorting to a rent strike to force the owner into providing basic amenities such as heat and hot water. When the landlord abandoned the Grinnell, owing large tax and utility bills, the residents began the arduous process of assuming management of the building, eventually buying it from New York City in 1982. The resulting co-op became The Grinnell, HDFC (Housing Development Finance Corporation). In the ensuing three decades, determined boards of directors and dedicated residents have revived what was virtually a dead building, replacing and upgrading building systems and restoring common areas to their original beauty. Individual co-op shareholders have restored their apartments, improving their personal investments as well as the co-op’s financial health. Today, the Grinnell is a thriving community that reflects the vibrant multi-cultural, multi-ethnic neighborhood surrounding it. Posted in 800 Riverside Drive, Audubon Park Historic District, centennial book, Centennial year, The Grinnell. Bookmark the permalink.